Obviously these hand pies can be made with any fruit. Hand pies are just like a fruit pie, you make the pie pastry, which you then fill with fruits and that’s it. However, I did decide for a rather fancy pie pastry with ground almonds and a hint of lavender. 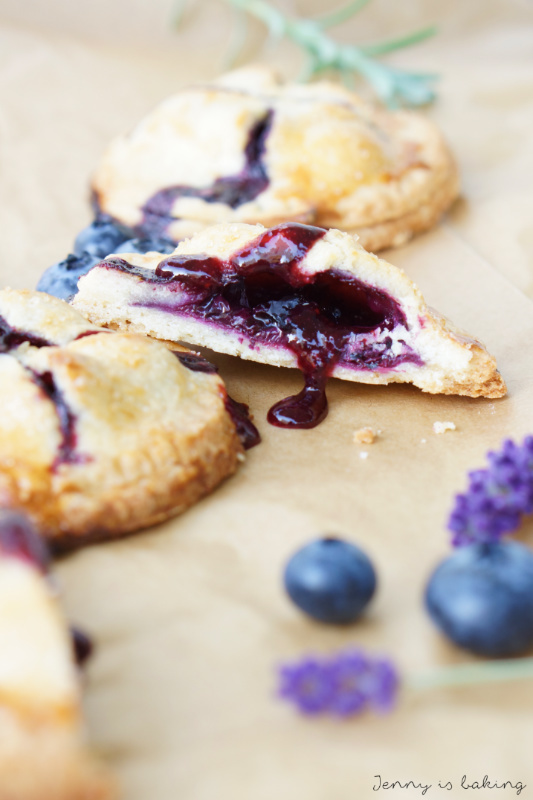 I also prefer fruits as fresh as possible, so the hand pies are filled with fresh blueberries and only a teaspoon of blueberry sauce. The sauce is very simple and only consists of blueberries, sugar, lemon juice, and cornstarch. A simple recipe, yet impressive at the same time. The only downside to it is that since you are making many small pies, you will need some time to cut out all those circles and gluing them together. But other than that, great! I am sure you are going to impress. They are very pleasing to the eye! For the pie pastry leave the buttemilk with the dried lavender in the fridge for a few hours or overnight. Form crumbs from the almonds, flour, sugar, and butter. Pour buttermilk through a towel and then add the buttermilk to the crumbs. Work with your hands to form a dough. Form into a ball and chill for at least half an hour in plastic wrap. For the blueberry filling put 100 grams of blueberries and the sugar into a pot and bring to boil. Mix cornstarch and lemon juice in a mug and add to the blueberries. Let boil another time, constantly stirring until thickens. Set aside to cool off. Take out dough, divide into two parts, return one part to the fridge. Line two baking sheets with parchment paper and preheat oven to 200 degrees Celsius. Roll out dough and cut out circles of about 8cm in diameter. 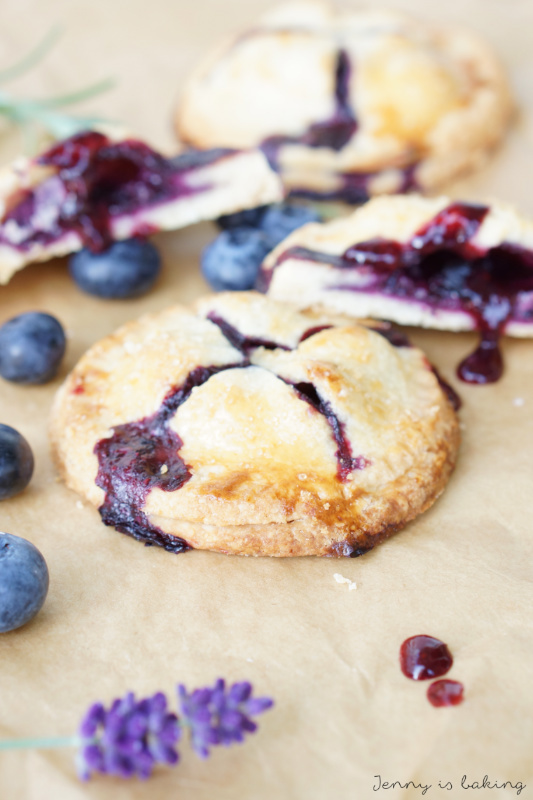 Fill half of the circles with five fresh blueberries and one teaspoon (no more!) of the blueberry filling. Cut crosses into the middle of the other circles. Brush the edges of the circles filled with blueberries with the egg and heavy cream wash.
Place the other circle on top and seal edges. Sprinkle with brown sugar. The pastry dough can be prepared three days in advance. The blueberry filling can also be prepared the day before. Hand pies freeze beautifully. I am also taking these to the link party Fiesta Friday. Enjoy! These look spectacular, Jenny! I can imagine the aroma and taste too! Yummy! 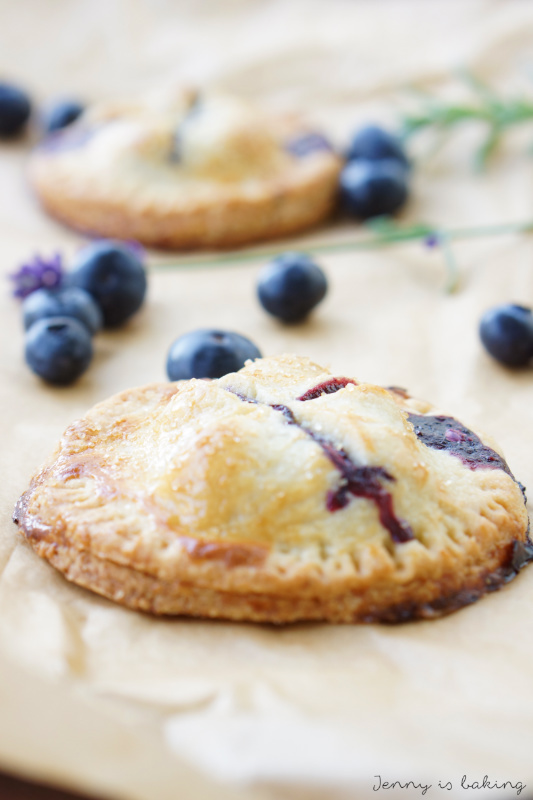 Blueberry hand pies are on my list to make, as a matter of fact King Arthur Flour’s recipe. But now that I’ve seen your recipe with the addition of lavender I might have to change my mind. I absolutely love using lavender in baking or cooking. I just moved and had 15-20 lavender plants so you know I am a big fan of this fragrant herb/flower. Happy FF and enjoy your weekend! Hi Judith, actually, I did see the KAF recipe, but thought that lavender would add a nice touch. 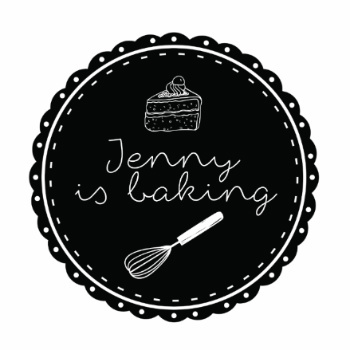 Let me know if you bake them! 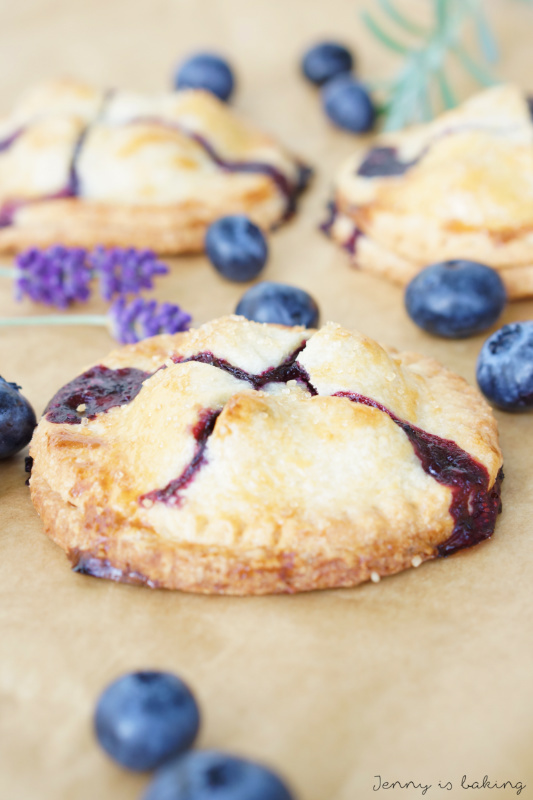 Wow, theses blueberry pies look awesome from outside and inside, I want to taste now. Thanks for sharing this nice recipe with Fiesta Friday. Ja, ich mag auch eher die kleinen, kann man super mitnehmen. 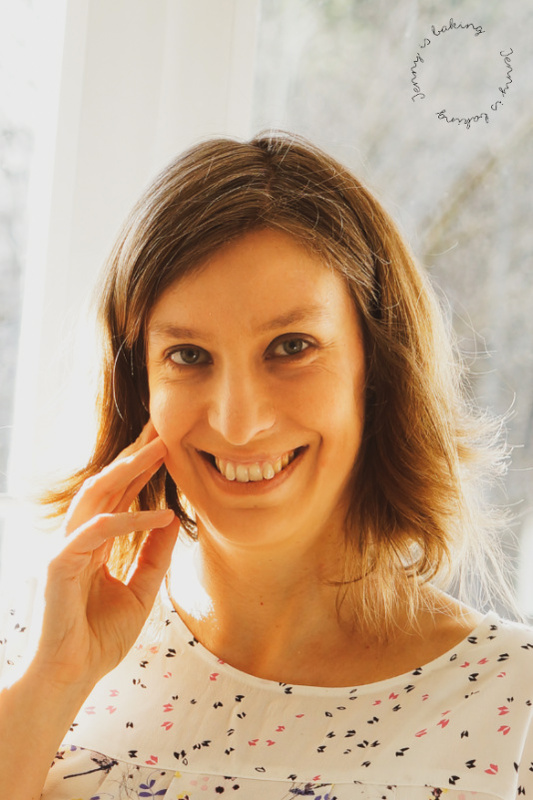 Hoffe, dir geht es auch gut!